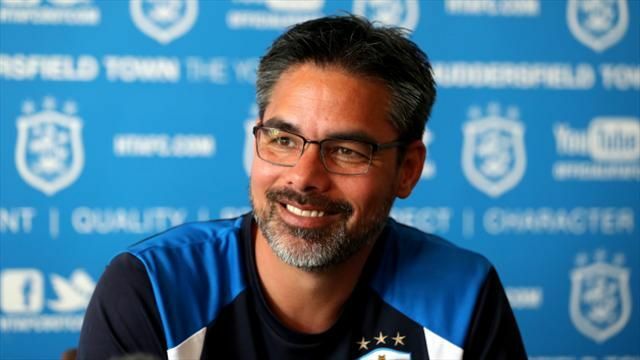 Huddersfield Town manager David Wagner will turn to close friend Jurgen Klopp for a favour if he leads his side to Premier League promotion in Monday’s play-off final against Reading. The German is expected to ask the Liverpool boss if he can keep on-loan Reds keeper Danny Ward for another season if the Terriers secure a place in England’s top flight, according to the Daily Mail. Ward has been in fine form for the Championship side this season, keeping 11 clean sheets in 43 matches and proving to be a hero in the club’s recent play-off semi-final win over Sheffield Wednesday by saving two penalties in the decisive shootout. The Welshman has recently been tipped to return to Liverpool this summer with Klopp keen on monitoring his goalkeepers ahead of the new season before deciding what roles each of them will play. While this hints at a deserved opportunity for Ward, the likelihood is that Simon Mignolet will remain the first chance ahead of Loris Karius, thereby making another year at Huddersfield a valuable option, especially if he can help guide them to play-off glory. If Huddersfield do fail to go up, however, Ward would return as a capable backup and a useful squad member in what promises to be a busy 2017/2018 campaign.